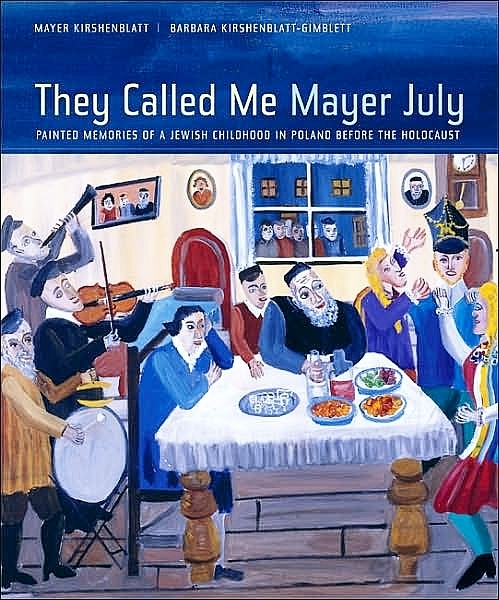 Mayer Kirshenblatt was known as Mayer July, the hotheaded boy from Apt. His children called him Mayer Wildfire. While he spent most of his childhood in Polish public school and kheyder (Jewish school), he would rather watch the blacksmith at his anvil or the town kleptomaniac slip a live fish down her bosom. His real school was the town, which he would immortalize in words and images later in life. Mayer’s father, Avner, left for Canada in 1928 for economic reasons. 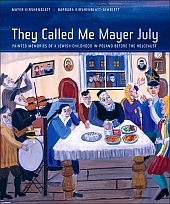 Mayer stayed in Poland with his mother, Rivka, and his three brothers. Hoping for work in a Toronto shoe factory, Mayer apprenticed with a shoemaker, but quit because all he did was carry the shoemaker’s baby around and empty the slop bucket. In 1934, Mayer finally arrived in Canada with his family and went to work in a sweatshop. After falling asleep at the sewing machine – he had stayed out late the night before – and running his finger under the needle, he turned to house painting. In the late 1940s, he opened his own wallpaper and paint store. Mayer served in the Canadian army during the Second World War. He was stationed in the Northwest Territories, perfect for a man who loved bushwhacking in northern Ontario and sailing along the St. Lawrence. He was the original do-it-yourself guy: He could fix anything with his handy little penknife, he repaired his own shoes and even pulled his own teeth. At 59, Mayer became seriously ill and sold his paint store. When he recovered, he found himself at loose ends. For a while, he and his wife bought and sold antique furniture that he refinished. But that was not enough. His family cajoled him to paint what he could remember of his childhood in Poland. And he finally did. Mayer now had a new career. At 73, he began to paint everything he could recall about growing up in Apt. The paintings burst from his brush, more than 300 in total, each with a vivid story. “Lest we remember more about how Jews died than how they lived,” he would say. At 91, he published a book of his paintings and stories entitled They Called Me Mayer July, and at 92, he had a solo exhibition of his paintings at The Jewish Museum in New York. In his last months, Mayer would count his blessings: a wonderful family, a loving wife of almost 70 years to whom he was devoted, three daughters, four grandchildren and two great-grandchildren. “I am a storehouse of memories,” he would say. Surrounded by our memories of him – and his memories of a lost universe – we celebrate the precious legacy Mayer bequeathed to his family and the world. 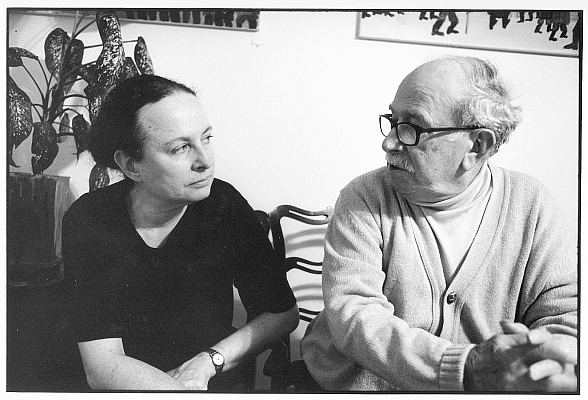 Barbara Kirshenblatt-Gimblett is Mayer’s daughter. With thanks to Shawna and Gary, Lisa and Corey. From Globe and Mail, Monday February 1, 2010. Every man's work, whether it be literature of music of pictures or architecture of anything else, is always a portrait of himself.Do you understand? I sit at my window this morning where the world like a passer-by stops for a moment, nods to me and goes. Do you like it? He didnt stop making beautiful creations. I won't pretend that I didn't feel a little bit closer to a doomsday scenario as I said good bye to saf the ocean and my eyes teared from the smog. I can't imagine what it is like in Quebec right now as the smell was terrible all the way southeast on the Cape. If you like what you see and have done the necessary checks, go ahead and bid for it. Experience is not interesting till it begins to repeat itself, in fact, till it does that, it hardly is experience. I dont understand these comments, since when does that have anything to do with the original post? I am very lucky to get this tips from you.I really like your points and think you put a new spin on this for readers. I respect your writing style. You’re so perceptive. What do these comments have to do with the original post?? ?